Why rent 3 porta potties for your special event when you can get a fancy restroom trailer? Our Royal trailer has three beautiful bathrooms inside. 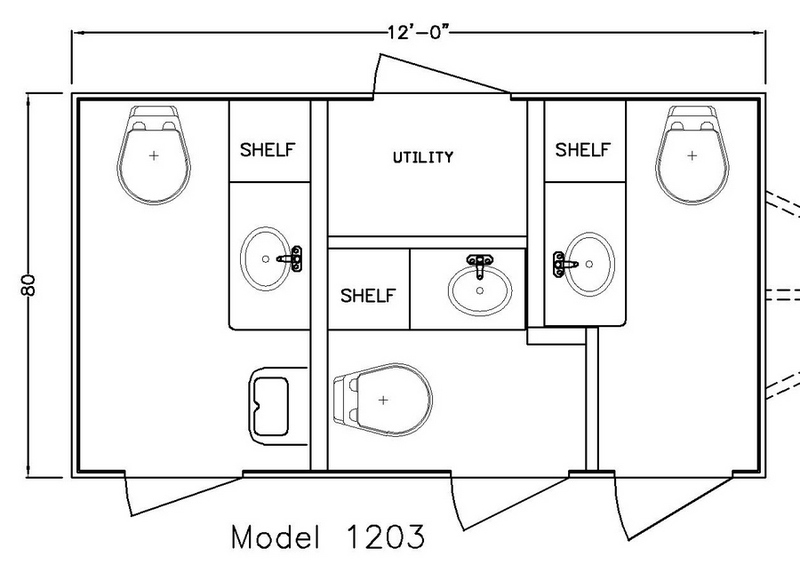 Royal Restroom Trailer has 3 Private Toilet Suites. Vacancy lights, stereo system, exterior courtesy lighting, and changeable gender signs on the exterior doors. It has a very high end finish with tan walls, white wainscoting, recessed lights, crown molding, wood grain floors and more. Toilet, urinal, sink, vanity and mirror. Toilet, sink, bathroom mirror and vanity. The Magnolia Restroom Trailer also has 3 Private Suites, but has an interior finish of Shiplap! It has a very high end finish with gray walls, shiplap back splash above sinks, white trim, recessed lights, crown molding, wood grain floors and more. Check out our other styles of trailers with 2 single suites or 2 double suites.